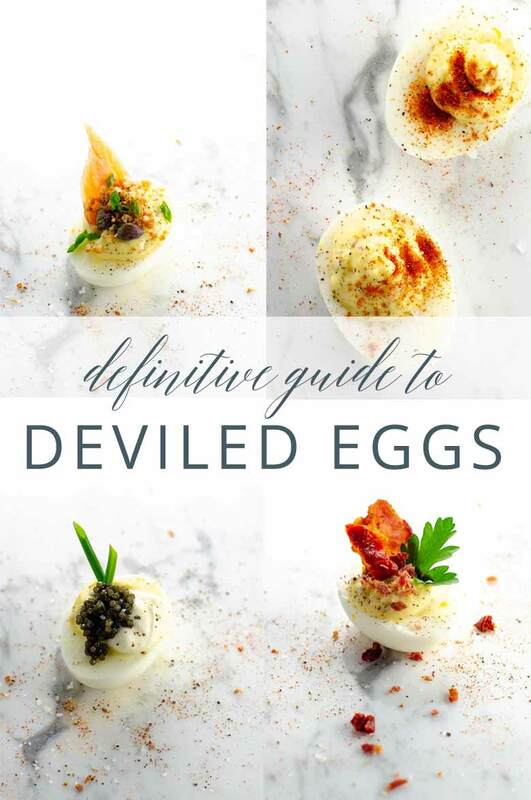 It's impossible to overstate our love for deviled eggs here at Umami Girl. 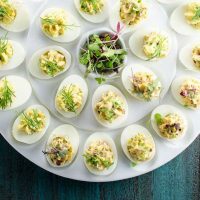 We've devoted a lot of time and resources over the years to perfecting every element of our deviled egg game, from choosing the best eggs, to hard-boiling like pros, to creating and piping the best possible classic filling, to developing next-level flavors and toppings, to throwing a whole deviled egg party. We're excited to share all our resources with you in one place. 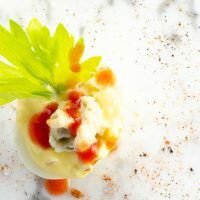 Deviled eggs are a crowd-pleaser and tend to disappear quickly. Between that and the fact that we tend to only think of making them when we've got a critical mass of guests, you'll probably need quite a few. All of our recipes use a dozen eggs and yield 24 pieces. You might consider doubling them for a very large crowd. 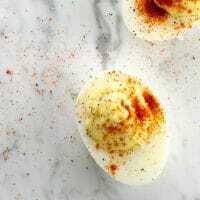 Make and even peel your perfect hard-boiled eggs. You can store them tightly covered in the fridge until you're ready to proceed. 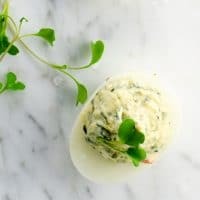 Slice the eggs in half, scoop out the yolks, and make the filling. Store the whites and the filling separately, both tightly sealed in the fridge. Pipe or spoon (but really pipe, okay?) the filling into the egg white halves. 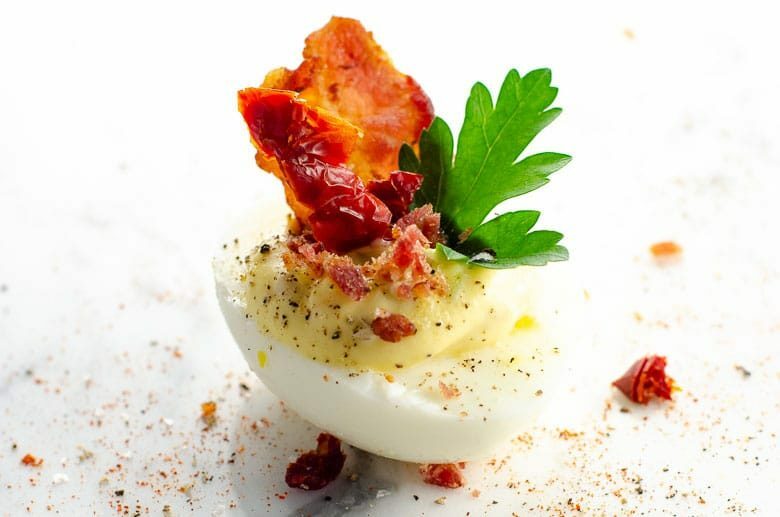 Prep any toppings for a deviled egg bar, if thats how you're rolling. 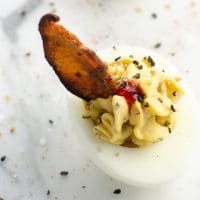 Add any garnishes and set eggs and toppings on your buffet table or deviled egg bar. 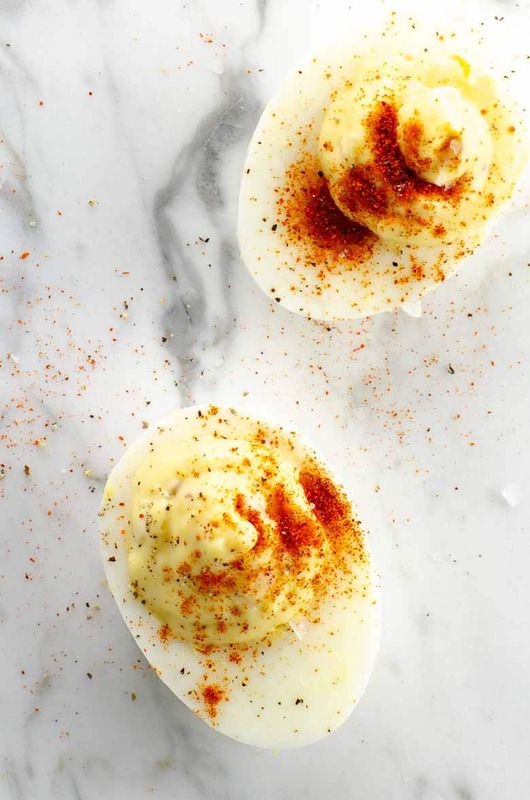 These are our favorite tools for making and serving deviled eggs. We own and love all of these items ourselves. 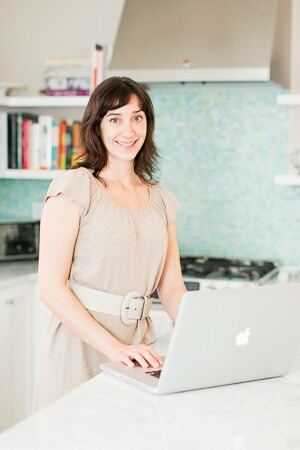 Feel free to take them as inspiration or to click right through and shop our affiliate links directly. 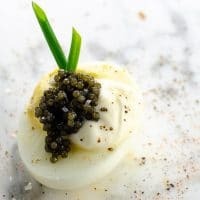 Watch our short video about how to make classic deviled eggs, which are the base for many of our more ornate deviled egg recipes. This 60-second video includes a tutorial on how to use a disposable piping bag to make filling your eggs a breeze. 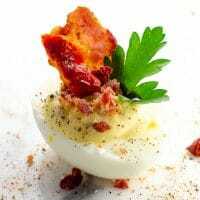 Here's the link to the full post with detailed instructions for classic deviled eggs. This is where the magic happens. 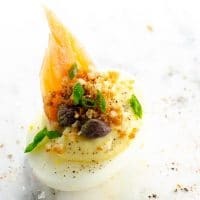 From classic deviled eggs to mashups inspired by other classic American recipes like the BLT, bagels and lox, and beyond, you’ll want to scroll all the way through this list and click on through to the recipes. 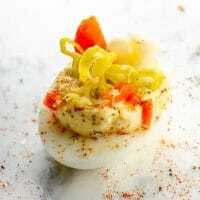 Some of these recipes are based on classic deviled eggs and simply have fun garnishes. 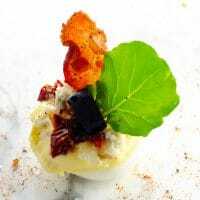 Others have additional ingredients in their fillings. 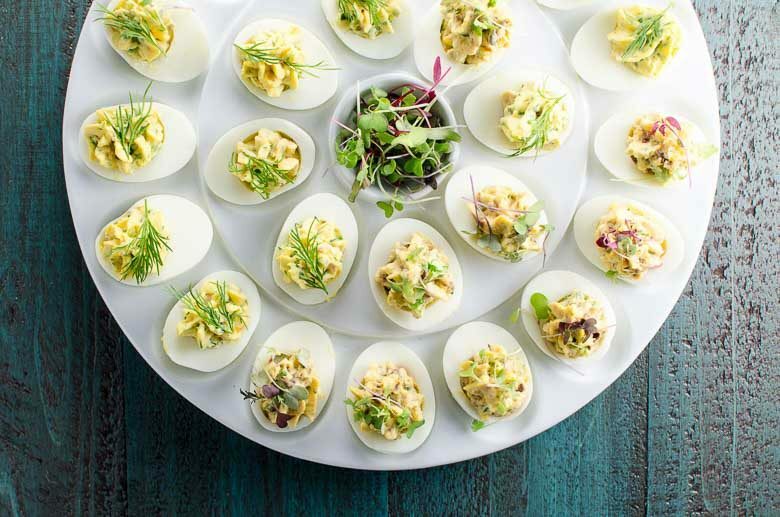 Turn a classic appetizer into a party in its own right by setting up a deviled egg bar for your guests to DIY. Watch the short video below, and click through to the post for full instructions.